True wedding story: romance and love conquer all! from Elaine & Jorge Borges-IbaÃ±ez on Vimeo. Alicia - from the USA - and Adrian from Derby, UK on their wedding day. See the story of how they met and fell in love as told to videoman Jorge on their wedding day. This is the first section of their actual wedding which includes the start of their day only. I hope these first 9 or 10 minutes will be sufficient for anyone planning their wedding to see how creative a wedding video can be in the hands of a true cinematographic artist, in a labour of love! You can have just video if you like, or both video and photography. We basically have two prices - rather unusually neither are dependant on how long we stay on the day, so long as you feed us (well Jorge, as I usually am busy doing photography, though can also cover video if needed...). In version 1 you get 4 copies on DVD or two copies on Blu Ray fully edited absolutely totally personalised version with a personally designed cover. This fully edited version has all the sound and colour balancing, whatever you want adding to it music-wise, and a multi-strand "story" of your day, creatively edited to distill your exciting moments into an entertaining set of wonderful memories for years to come of all your special people. (sadly we don't all live as long as we'd like so sometimes it helps you hold tight to those who left this world too soon...). 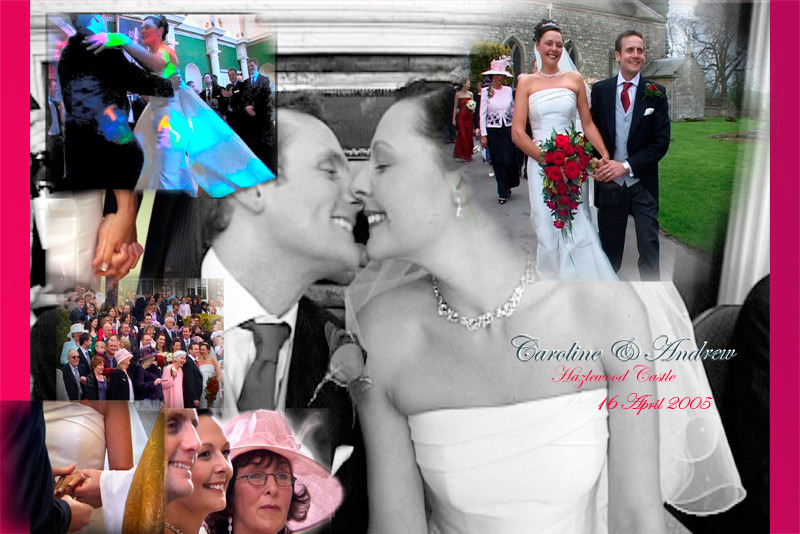 If your photographer wishes we can add a slideshow of their images at the end too (we usually use our own when covering both for you) or even add baby-pics or any other personal memorabilia/comments from guests etc. Version 2 is simply the full footage in a completely unedited version, just tidied up a bit. Its £1600 for the 4 copies on DVD or two copies on Blu Ray fully edited absolutely totally personalised version or a simple full footage but completely unedited version, just tidied up a bit is £790 (one copy only though , but you can buy extra copies if you like). The big difference in price is due to the time Jorge spends editing it - a whole month of his life - to get it just so - like a TV documentary of your dream wedding, only on without their budget. The booking fee is £50 (comes off balance), and then 2 weeks before the wedding you pay £500 The rest you pay within 7 days of receiving your approved copies. We prefer all payments by Internet banking straight to our business account if poss.